A New York Times bestseller! The untold story of what really happened on D-Day. The Rangers’ mission was clear. They were to lead the assault on Omaha Beach and break out inland. Simultaneously, other Ranger units would scale the cliffs at Pointe du Hoc to destroy the ostensibly huge gun battery there and thus protect the invasion fleet from being targeted. But was the Pointe du Hoc mission actually necessary? Why did the Allies plan and execute an attack on a gun battery that they knew in advance contained no field guns? And more importantly, why did they ignore the position at Maisy that did? 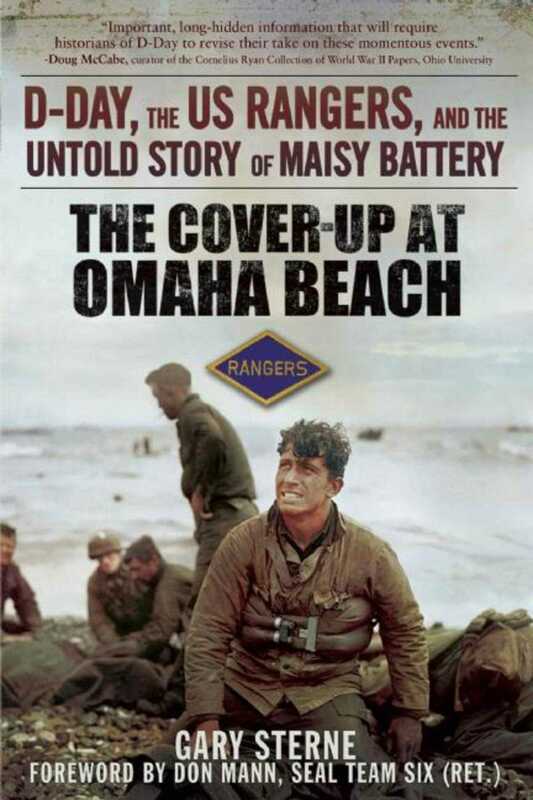 Using personal interviews with the surviving Rangers who fought on the beach and at Pointe du Hoc, The Cover-Up at Omaha Beach presents exceptionally detailed new research that takes the reader into the middle of the action with the Rangers. Gary Sterne has made a painstaking study of what the Allies actually knew in advance of D-Day, including what was known about Maisy Battery. Maps, orders, and assault plans have been found in American, British, and German archives, many of which have only recently been released after staying classified for more than sixty years. Radio communications of the Rangers as they advanced inland have been found, and Royal Air Force intelligence evaluations of bombing missions directed at the site have now been released. All of this combines to make The Cover-Up at Omaha Beach one of the most up-to-date references on the subject.